I inked up the adorable Four-Legged Friends for the new sketch challenge. I stamped this little cutie on X-Press It card stock and I coloured him with Copics. I paired the image with Black Licorice and Cement Grey card stock and print from the Dots & Stripes Bright Paper Pack. 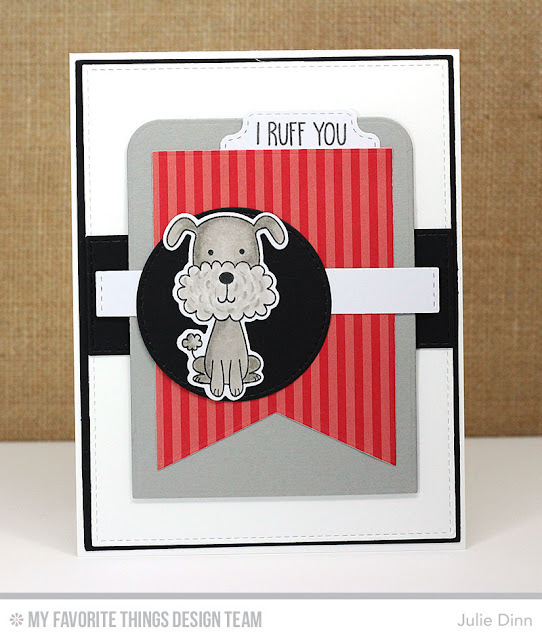 I ruff your combination of colors and elements! So cute. Love the colors and papers. This is such a cute card, love your coloring.